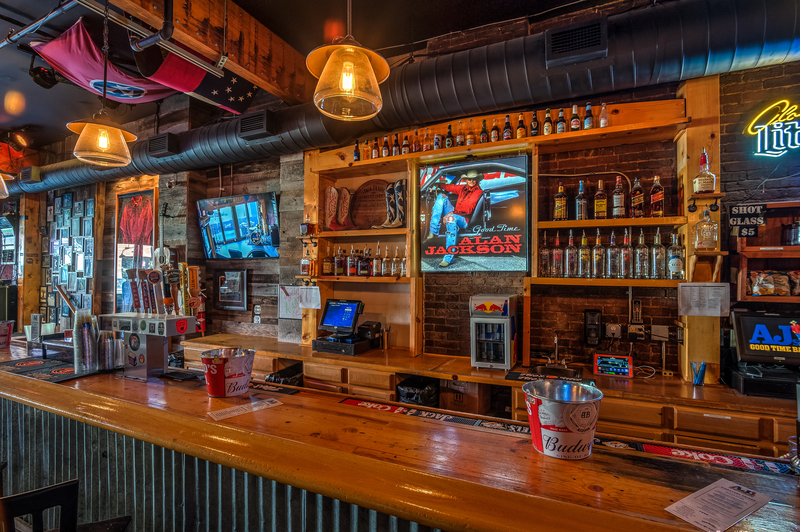 Alan Jackson’s Good Time Bar – located on Lower Broadway in the heart of downtown Nashville (just steps away from the historic Ryman Auditorium and walking distance from the Country Music Hall of Fame) – is the newest addition to the Music City scene. 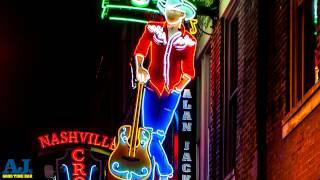 Situated in the heart of the city, AJ’s Good Time Bar carries on the tradition of the best downtown Nashville honky tonks, giving locals and tourists alike a place where they enjoy real country music that made Nashville famous. In the tradition of The Wheel (one of Lower Broad’s longtime favorite places to grab a beer and hear good music), Alan Jackson promises his new Good Time Bar will be a spot for fans who, like AJ, are all about “keepin’ it country.” A real honky tonk…for real people…with real music…where – as Alan sings in the hit song that gave his bar its name – “all the conditions are right for a good time.” Not only is this his place – it’s his kind of place. -Drink menu includes “Alan’s Drink” – Jack & Water and a shot called the "Hoochie Coochie"
- Originally built in 1862, it is the oldest building on Broadway up to the Broadway/West End split. - Alan purchased the building on August 22, 2016. - The first 2 floors were opened on October 5, 2016. - After renovations the 3rd Floor & Rooftop opened on May 12, 2017. To tie in with his own honky tonk, Alan’s 2017/2018 tour is called the “Honky Tonk Highway Tour” . 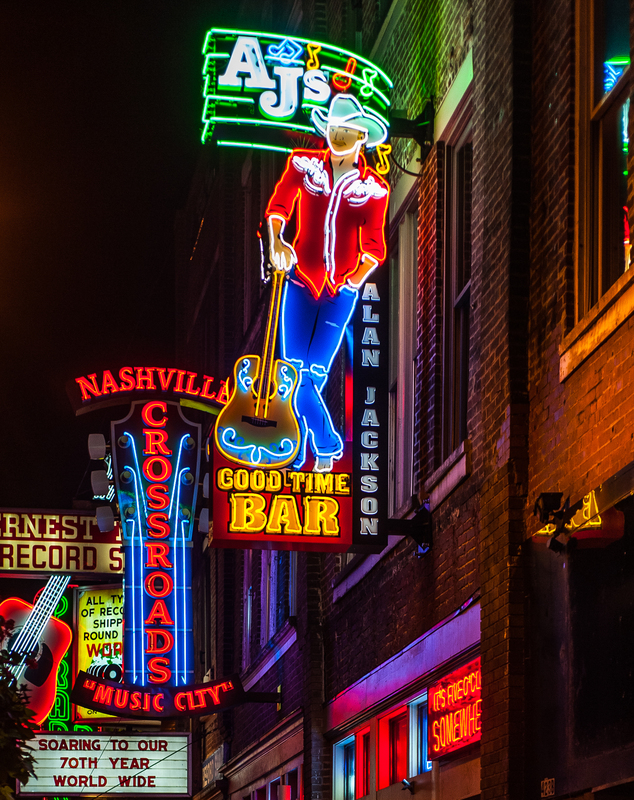 AJ's Good Time Bar is located downtown on Nashville's famous Broadway, also know as the Honky Tonk Highway. Alan added a tour stop at AJ’s after his Nashville show on May 19, 2017 and surprised fans with an impromptu set with The Strayhorns (his 8 piece band). -Heroes Wall – Features a few of Alan’s favorite Country singers. -Good Time Outfit – This was worn on the cover of his multi-platinum album Good Time. -Square Grouper Neon– This sign is the actual neon sign from the Square Grouper Tiki Bar in Jupiter, FL and was given to Alan by the owner of the bar. Alan filmed the videos for both “It’s Five O’Clock Somewhere” and “Long Way To Go” at the Square Grouper. Photos from the “Long Way To Go” video shoot are framed next to the Tiki Bar showing the neon in its original location. -AJ’s Good Time Bar was previously called “The Wheel,” and the original neon sign that hung behind the bar is now displayed above the door to the second floor. -Metal Wheel at the front of the bar is rumored to be the original crank wheel used for the elevator in the building back when it was a Civil War hospital. -Showcases all of Alan’s 80 Country Weekly Magazine covers. He appeared on the cover more than any other artist. -“Merle the Moose” greets everyone as they come into the second floor. “Merle” has been in the Jackson family for years, previously residing at their lake house. -Handmade Wooden Motorcycle was a Christmas gift to Alan from one of his sisters. -License Plate Wall includes several of Alan & Denise’s personal license plates from over the years, as well as at least 1 license plate from all 50 states. -Couch once resided in Alan’s lake house. -Honky Tonk Highway rug was a gift given to Alan at one of his 2017 tour dates by the promoter. -Pyramid of Cans – “A pyramid of cans in the pale moonlight” as Alan sings in his hit song “Chattahoochee” is behind the bar and includes 1 can for every team in the NFL. -All jerseys across from the bar are from Tennessee teams. All other jerseys on the back wall were given to Alan over the years after concerts he performed at different sports teams’ venues. -Various Hubcaps – Although not all from Alan’s personal collection, they are all from “American Made” cars. -Chevy and Ford tailgates, the two fenders and one front-end grill are all car parts from Alan’s personal collection. Before being re-homed at the bar all of these were hung in Alan’s garage. -Two Racing suits previously hung in Alan’s garage. Alan wore one in his video for “Who’s Cheating Who” and the other in a photo shoot for Miller Lite. -Harley Davidson bicycle hanging from the ceiling is from Alan’s personal collection. -Johnson Motors Banner – It is referencing the line from Alan’s famous song Drive, “65 Johnson and electric choke”. -“Hullbilly” Boat Bar is a custom made replica of Alan’s Merritt Sportsfish Boat. At the personal request of Alan, one of the actual builders of his original boat came up from Florida to build the boat bar on site to scale, varnished and sealed. -The Fighting Chair – An actual chair as featured in the photo of Alan on his “Hullbilly” fishing boat, as well as the deep sea fishing pole hung next to the picture. -All skis & fishing poles are from Alan’s personal collection, including his mama’s (Mama Ruth) skis that are hung on back wall. -Photo of Alan & his father, Daddy Gene, hangs next to the stage. -Photo of Andy Griffith “Gone Fishing” – Alan is a huge Andy Griffith Show fan. -Center Hill Lake Show Print & Aquapalooza photo commemorates Alan’s lake shows that were only accessible by boat or watercraft. -Photo of Alan skiing in the making of the famous “Chattahoochee” video. -Lake Burton sign is from Alan’s favorite lake. -Life-size standup of Alan on the stage was taken during the photo shoot for the Freight Train album. 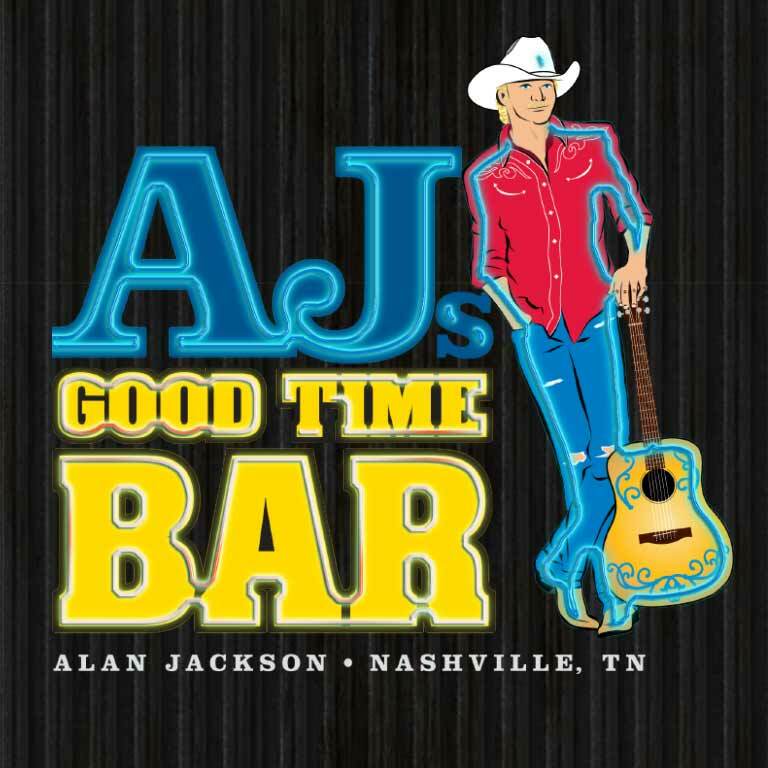 -‘Big Al’ – Alan Jackson caricature used on billboards to announce the opening of AJ’s Good Time Bar. -An extraordinary view of Alan’s second hometown: From the 4th floor roof top you see the Historic Ryman Auditorium along with the CMT building, Bridgestone Arena, Nissan Stadium and all of the classic Broadway honky tonks.